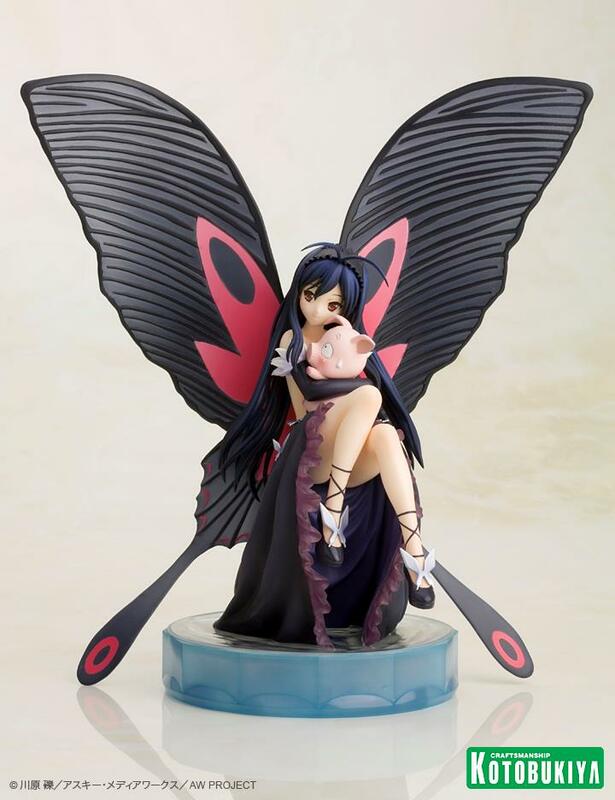 “>Kuroyukihime! 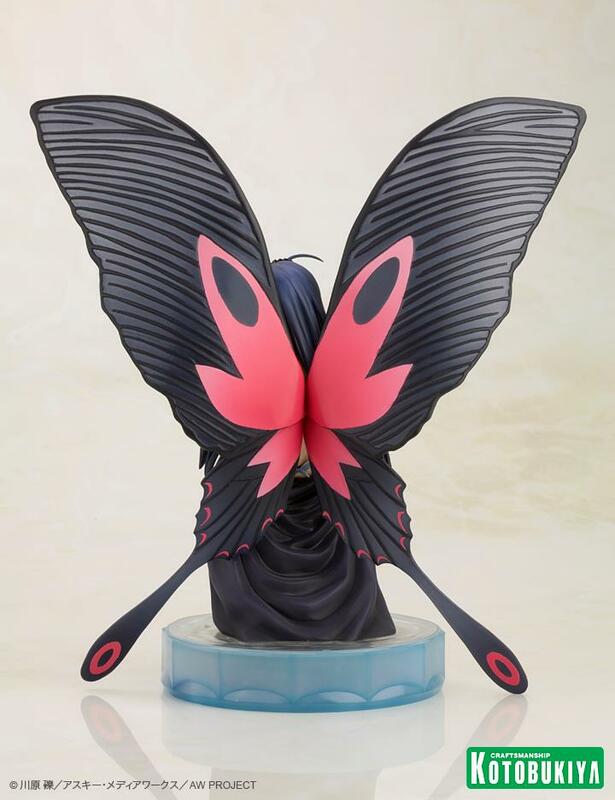 Presented in her non-accelerated avatar, the leader of the Nega Nebulus legion looks amazing leaning back with her large, beautifully detailed butterfly wings poised as if for flight, rising from the waters of the Accelerated World. 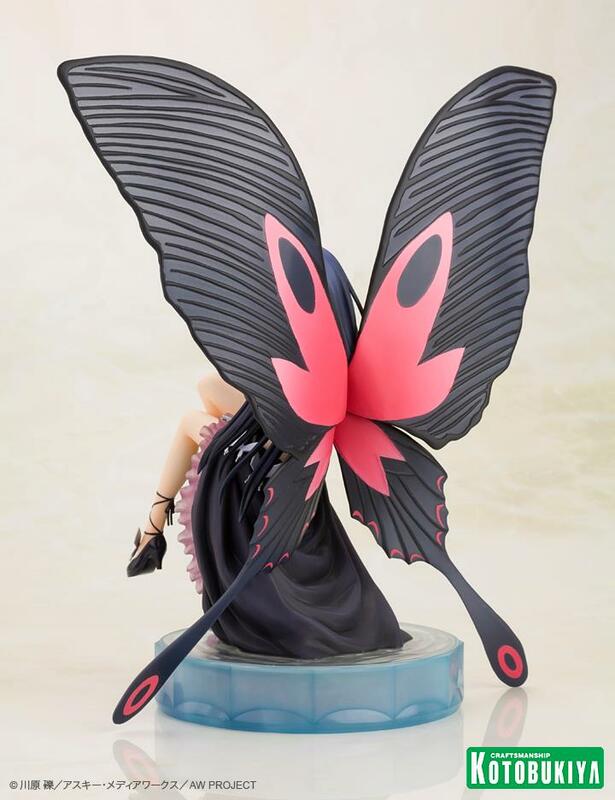 From the striking dark color palette of her costume and wings to the intricate sculpt on her face, hair, and clothing ruffles, Kuroyukihime is intriguing and beautiful. 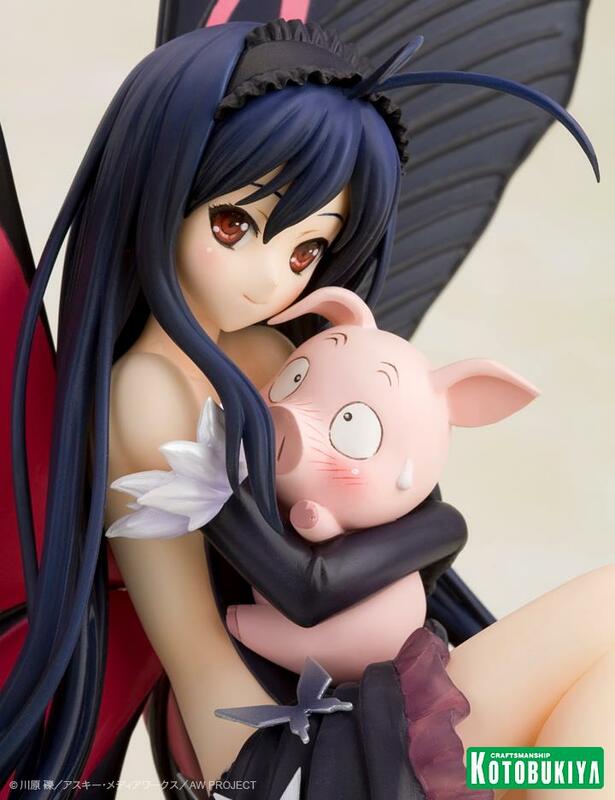 She even holds Haruyuki’s small pig avatar, which is removable for even more display options! 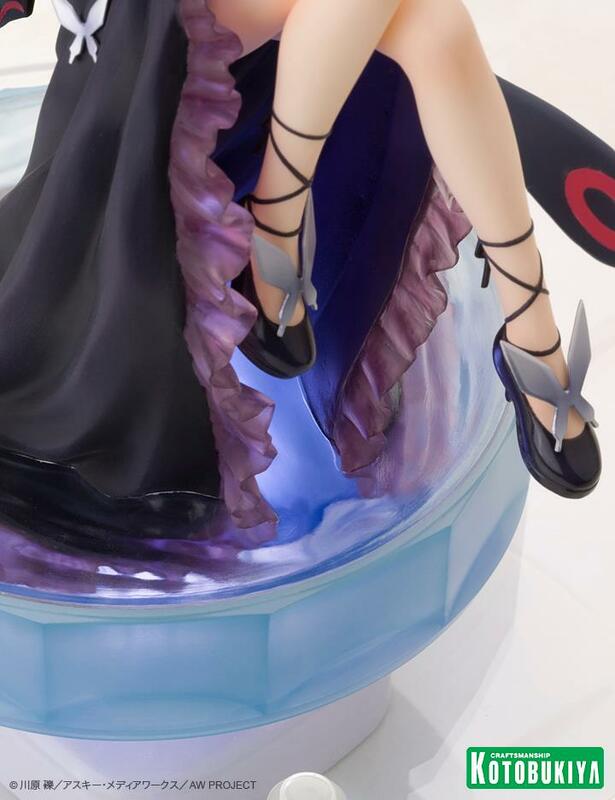 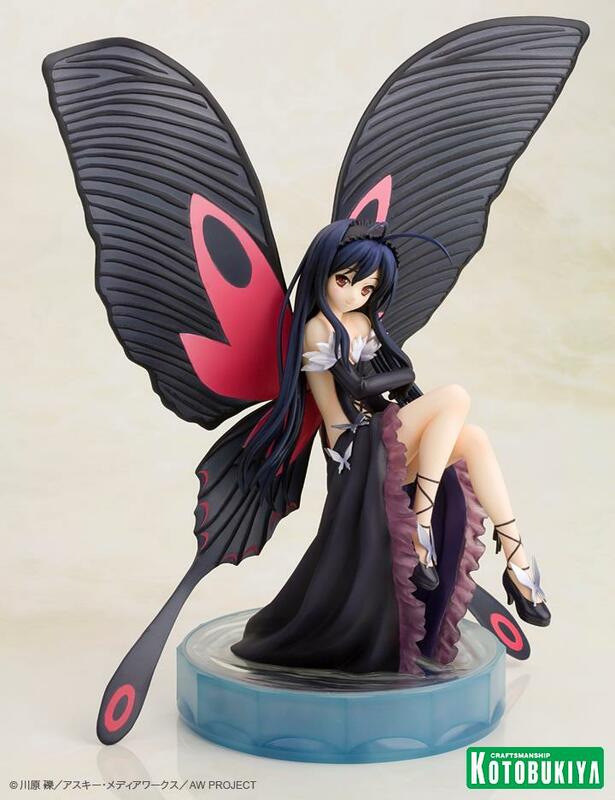 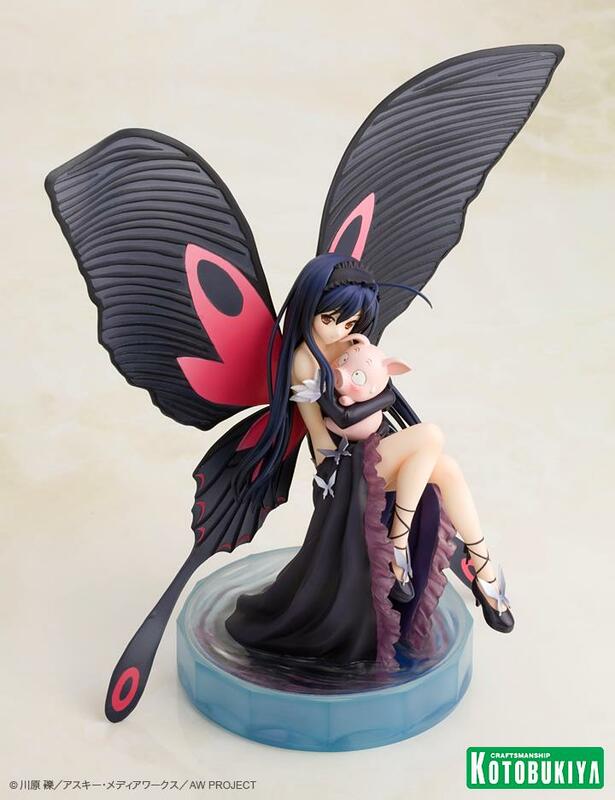 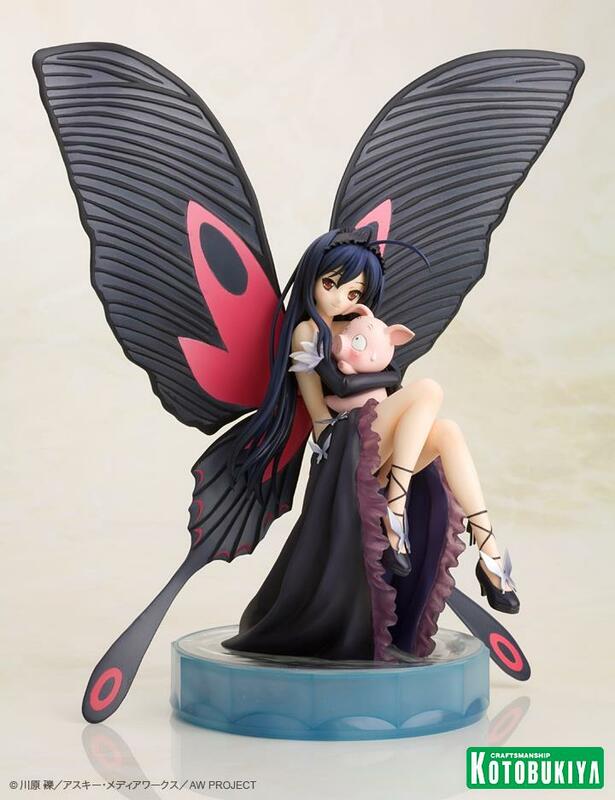 Kuroyukihime is 10 inches tall (1/8 scale) on her unique integrated display base and was sculpted by master artist Tsukuru Shirahige. 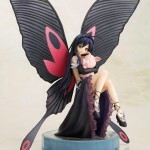 Accelerate your world with this stunning avatar! 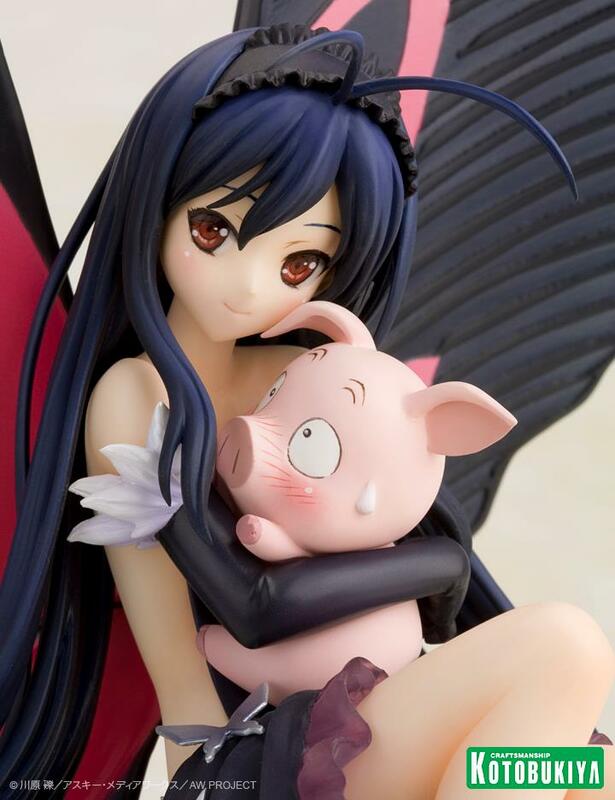 Click to see more images of this Anime delight.